Isn't this cute? 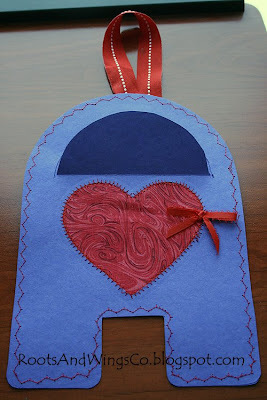 It is a Valentine's Mailbox. I tried to come up with something that people that don't own a sewing machine can do. I tried really hard to make just a paper craft. I think it goes against my grain. I must sew. I did end up sewing it anyway. 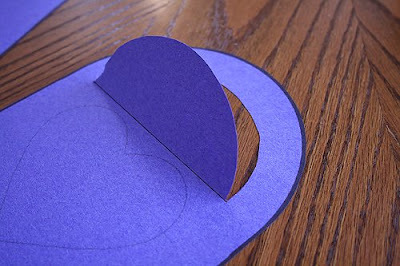 BUT you could totally do this with glue or tape and just paper. 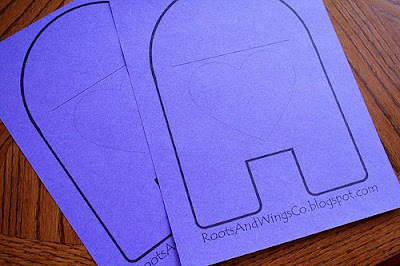 Print it out twice on blue paper. One is for the front and one is the back. Cut along the dotted curve. Just be careful with your initial poke into the paper and you will be fine. Fold along the solid line. This is your opening for your little mailbox. Decorate it as you wish. 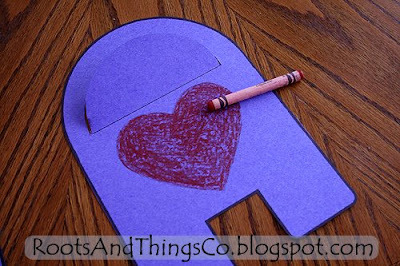 Color the heart in, use matching scrapbook paper, add any trim you can think of, put your child's name in the heart. It is all up to you. I wanted to hang mine on our door. I cut a strip of ribbon long enough to go over the knob. I taped the ribbon to the back of the back blue piece. (I didn't want the ribbon to be seen when the little flap door is open. Layer your front and back piece together. 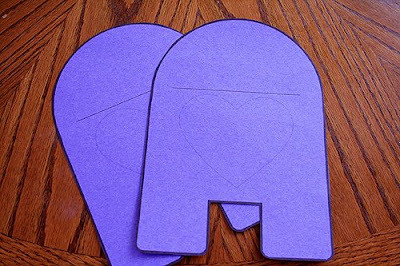 Glue, tape, or sew around the sides. You have a little hanging mailbox! Make one for each child. As always, I hope you enjoy this. I think that anyone can make it. Everyone has paper. If you do make one (or ten, depending on the number of kids you may have) please add a picture to our little group here . You guys have too much energy! Sounds like you are having fun though. Found you via oneprettything. Thank you for sharing a craft for folks who are sewing-challenged! 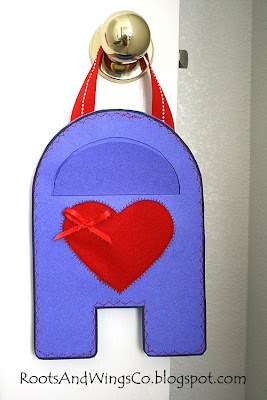 The mailbox and envelope are very cute. 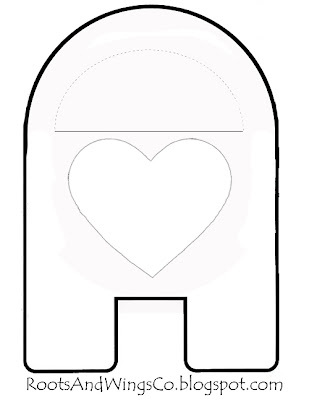 This is the perfect idea for my kids' secret valentine for each other. Thanks for the ideas. Keep up the good work. I love this! What a great day for collecting valentines! And wouldn't it be fun to have a daily ritual with your child and have one in their mailbox each morning when they got up?? I'm going to have to get in gear! Thanks for sharing ... I'll be linking. And please come join my link party anytime!